England men's head coach Eddie Jones has named a 35-man squad to begin preparations to play Ireland in their opening Guinness Six Nations match in Dublin on 2 February 2019 (kick off 4.45pm, live on ITV). Dan Cole (Leicester Tigers), who has played 82 Tests for England, returns having last played for his country against Ireland in last season's Six Nations. Ollie Thorley (Gloucester Rugby) is included for the first time and is one of four uncapped players selected alongside Ben Earl (Saracens), Dan Robson (Wasps) and Jack Singleton (Worcester Warriors). The 22-year-old Gloucester winger has made 39 career appearances for his club and was part of England's U20 team that won the World Rugby Under 20 Championship in 2016. Singleton, who also won the World Rugby U20 Championship in 2016, has previously toured with England to South Africa and Argentina with Earl and Robson joining the squad in the three-Test series against the Springboks in June. Co-captain Dylan Hartley (Northampton Saints) is not included in the initial squad due to a knee injury so Owen Farrell (Saracens) will captain the side in his absence. Eddie Jones said: "We are very happy with the squad and have a number of players who have come back from long-term injury. We are looking forward to getting across to Portugal and having a good ten-day preparation for the Ireland game. Jones added on England's priorities while in Portugal: "The first thing when we get together as a squad is to get our cohesion back. 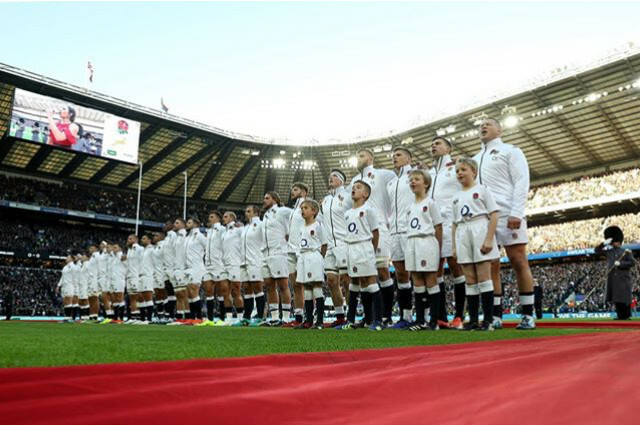 The players have been playing for their clubs with different styles and different playing philosophies, so it's about getting them thinking about playing the England way. The second thing is to get our togetherness stronger to work as hard as we can to make sure we are well connected on and off the field so Portugal is an important camp for us." On England's first opponents in the tournament, he said: "Ireland is the best side in the world. They are a very well coached and drilled side and have particular things they do well in the game. To beat Ireland, we need to compete brutally in all the contest areas of the game." Jones added on Hartley's absence: "Unfortunately, Dylan won't be available for the Ireland game so we won't take him to Portugal but we are hopeful he will be back later in the Championship. Owen will be captain by himself and he will certainly have great support from a number of senior players." The squad will travel to Portugal on Wednesday 23 January to begin their preparations. A squad of 25 players will depart for Dublin on Thursday 31 January.